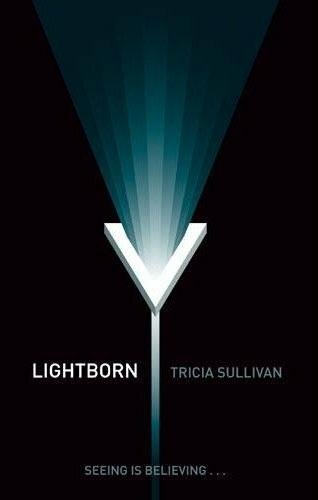 Lightborn, better known as ‘shine’, is a mind-altering technology that has revolutionised the modern world. It is the ultimate in education, self-improvement and entertainment – beamed directly into the brain of anyone who can meet the asking price. But in the city of Los Sombres, renegade shine has attacked the adult population, resulting in social chaos and widespread insanity in everyone past the age of puberty. The only solution has been to turn off the Field and isolate the city. Trapped within the quarantine perimeter, fourteen-year-old Xavier just wants to find the drug that can keep his own physical maturity at bay until the army shuts down the shine. That’s how he meets Roksana, mysteriously impervious to shine and devoted to helping the stricken. As the military invades street by street, Xavier and Roksana discover that there could be hope for Los Sombres – but only if Xavier will allow a lightborn cure to enter his mind.